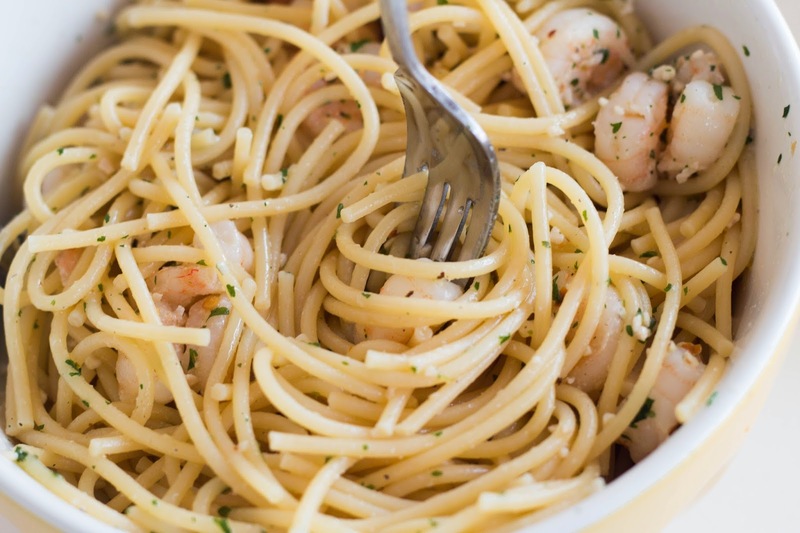 Shrimp Linguini is a family favorite and fast and easy to make since I usually have all the ingredients on hand. 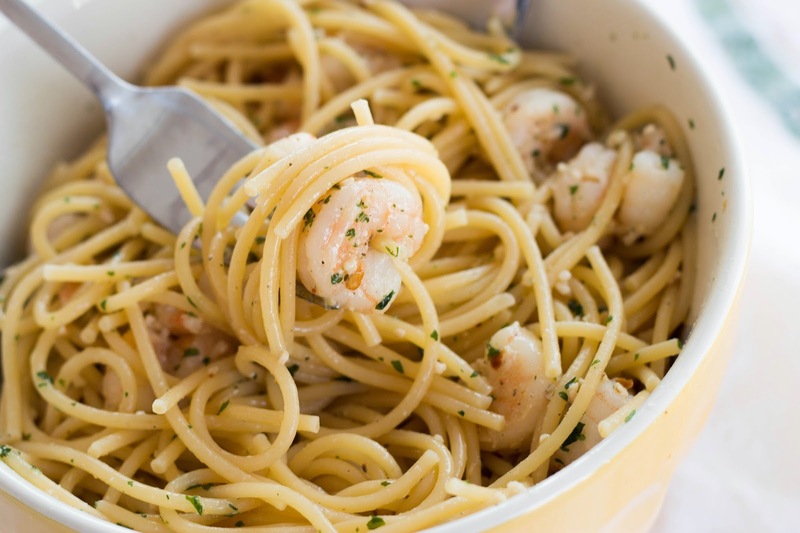 This is also a great way to get my kids to eat shrimp. It doesn't get much better than that. Cook the pasta according to the directions on the box. In a skillet, melt the butter with the EVOO. Add the garlic and red pepper flakes, stir frequently for about 3 minutes or until it becomes fragrant. Season shrimp with salt and pepper and add it to the skillet. Once the shrimp is pink, add the chicken broth, lemon juice, and parsley to taste. Pour over noodles and enjoy.